Passionate about helping others achieve their fitness goals? Looking to get a start in a growing health industry? If you want to join an industry that can offer flexible work life balance, the opportunity to be your own boss and provide a platform to make meaningful change in people's lives; a fitness career could be for you! 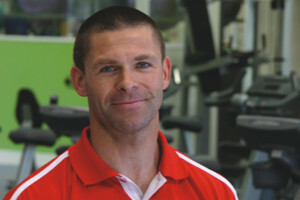 Whether you're interested in group fitness instructing, personal training or specialised personal training; CIT offers the certificate to diploma level qualifications you need to register as a Fitness Australia certified trainer. Our CIT Fit and Well fitness centre and massage clinic services the general public and offers modern, industry standard facilities to learn in. Gain real world experience and practical knowledge training in our student-run gym, learning from experienced industry professionals. Hone your instructing and training skills on real clients, ensuring you're job ready with an industry preferred qualification. As a business owner, I know that graduates need practical experience under their belt to succeed in the workplace.